Every single show, regardless of format, needs to earn images to win. Even a show grounded in politics. 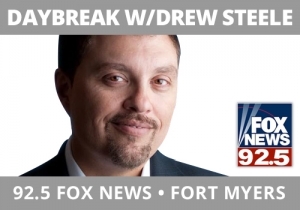 Drew Steele, 92.5 FOX News, Ft. Myers, FL understands that, as people wake up and he shares with them news and views on the stories of the day from his politically right sensibilities, that nothing helps them cut through better than humor. There seems to be a slew of political scandals right now. Highlighting those from the Democrats and doing a produced piece called the Twelve Days of Scandals, using audio from President Trump and the media, is a winner for Drew’s politically conservative audience. They want to wake up and laugh around the topics of the day just like your audience. Here’s the produced piece so you can get a sense of how Drew gives the audience a good time around their values as they get the day going.